Looking to add some flair to your print project? Foil printing and stamping techniques are like accessories to a great outfit—taking the ordinary and making it outstanding. This eye-catching technique lets you add a rich, professional touch to nearly any print job you can imagine. Foiling, also called foil printing or hot foil stamping, is traditionally done with a hot stamping machine using a custom-made heated die and gold or silver foil. SunDance offers traditional hot-foiling along with new and innovative ways to execute nearly any foil job in-house. We offer a wide selection of colors, applications and finishing options at price points that can work for almost any job. Depending on your desired result, foil printing can be applied to nearly any surface or substrate. While other local print shops may claim to offer foiling services, many of them outsource the job to an outside facility. At SunDance, we house all the last foiling equipment and technology in house to achieve optimal efficiency, while delivering an stunning final product at a price point our customers love! A variety of different types of foil can be used in the foil stamping press printing process. SunDance offers an extensive color selection of foils, including holographic foils, custom foil colors, metallic foils, gloss or matte pigment foils, special effects foils—and even refractive patterns that can be added to the stamp to produce an eye-catching three-dimensional image range of options. Metallic Foils — These foils have a metal-like shimmer. Typically used in gold or silver, but also available in copper, bronze, green, blue, red and more. Special Effects Foils — We can print effects like woodgrain, animal print, geometric textures, and more to add a touch of depth and character to your piece. Holographic Foils — These foils add a multi-color metallic, high-dimension look that creates a dramatic effect. Pearl Effect Foils — Creates a pearlescent sheen, resulting in a nearly transparent color that imparts a tactile sheen. This more subtle foil effect works well with design elements on stationery, invitations, business cards and more. Pigment Foils — A range of non-metallic, matte or gloss pigment foils are available to add enhanced visual appeal to text and graphic elements. Custom Foil Colors — SunDance offers the ability to create any color foil. For example, we can generate a custom foil using a specific branded color for your logo. Foil stamping can be used with nearly any paper stocks, though for the most precise result, foils tend to work best with smooth (untextured) paper or surfaces. There are near-endless uses for hot foil stamping on printed pieces. 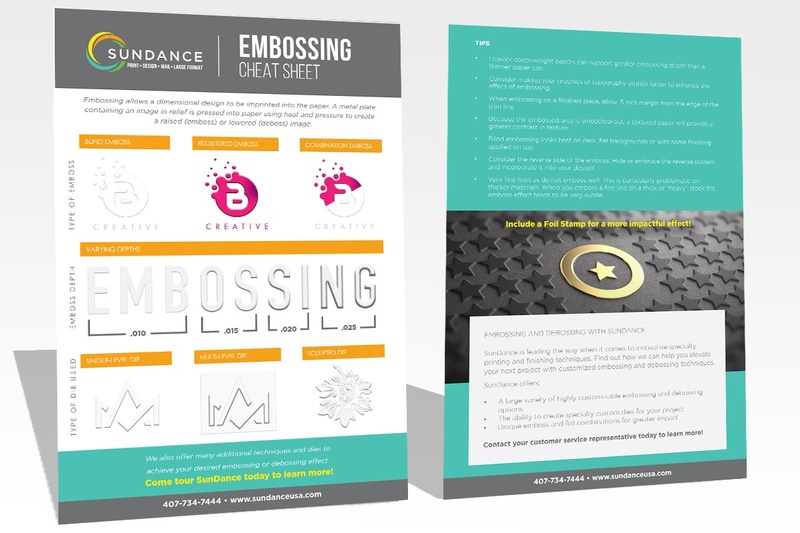 From business cards, brochure and presentation folder to greeting cards, note cards or invitations—almost any project can be enhanced through the use of foil stamping. You may think that foil stamping works well for wedding invitations and greeting cards, but can't figure out if this technique could work for your brand. Many companies have found success increasing their brand awareness, appeal and perception through the use of foil techniques. For example, when used on product packaging, studies have shown that foil stamping can be an effective way to differentiate your brand from the competition while increasing perceived value and sales. We can work with you to test a version of your project using foil stamping to see if you can increase ROI with this printing technique. Increase brand perception and appeal — Use foil stamping to make your printed piece stand out from the competition while increasing perceived brand value. Create high-quality appearance — Foil stamping lends a rich, high-quality look to any printed piece. Generate greater ROI on product packaging — Research shows that adding foil printing techniques to your product packaging can increase awareness, positive perception and ROI. 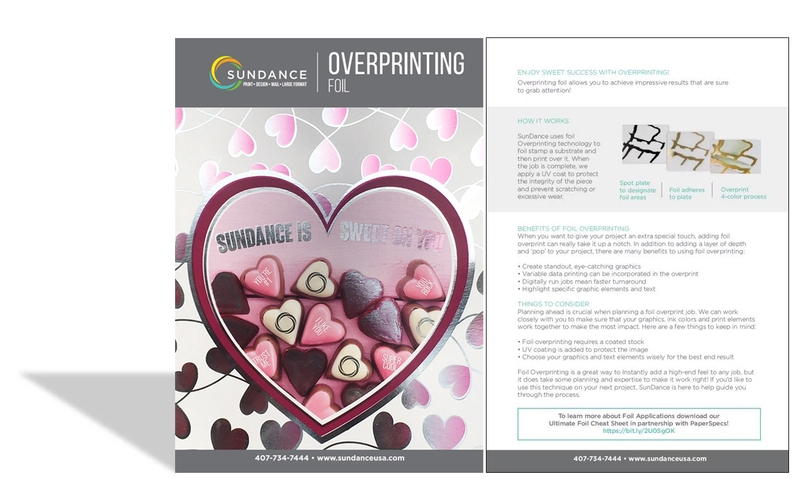 SunDance now offers digital variable foil stamping for your one-to-one marketing projects or corporate identity collateral. We combine the latest digital printing methods with in-house finishing techniques to enhance the overall look and feel of your digital printed piece. If you need to execute a variable data job, but want to add some extra flair, we have several options available. We can utilize traditional hot foil stamping finishing services, or foil sleeking techniques to create the desired end-result. These processes allow us to execute highly personalized, custom small-run jobs with the additional visual and tactile enhancement of foil stamping. Foil sleeking uses a special laminating process to create a look very similar look to traditional hot foil methods. 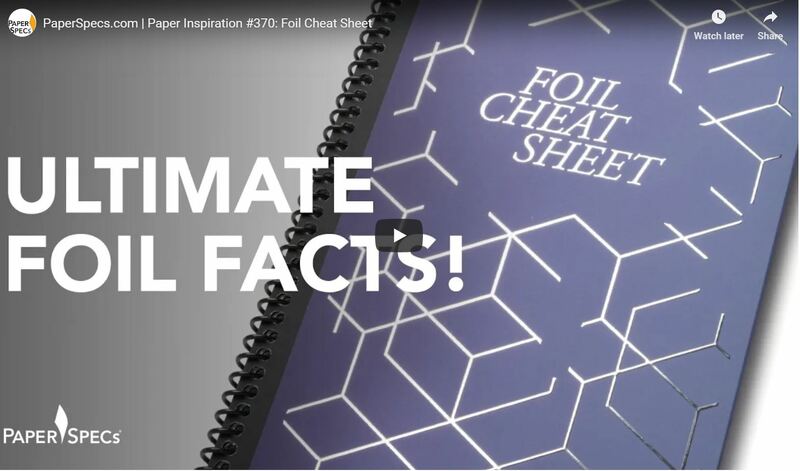 This method can be used with coated or matte papers, and offers more flexibility and cost-savings compared to hot foiling. During the process, areas to be foiled are overprinted in 100% black, and those printed sheets are fed through a laminator where the foil then adheres only to the printed portion. After the foil is complete, the remainder of the image is printed. The same process can be used with spot UV or gloss, with the effect working over any color. The end results is a seamless combination of variable data foil techniques and high-end aesthetic at a lower cost and fast turnaround time compared to traditional methods. At SunDance, we have taken home numerous national awards for our foiling technique. We don't outsource our foiling jobs to other printers—we take pride in our state-of-the-art facility and equipment that can handle even your most challenging job. Bring us your ideas and let our foiling experts work with you to find the best and most cost-effective approach to get your desired end-result. We can even utilize foil paper stocks, printing directly foil to paper with just about any color, making custom foil colors and utilizing white inks for blocking out non-foil areas. It's time to take your corporate identity and marketing materials to the next level with foil printing and stamping. Contact us today to see how our wide array of foils can make your project pop.